A Lennox heat pump is an air-conditioning unit that operates by circulating the air throughout your home while either adding heat to the air or taking it away. 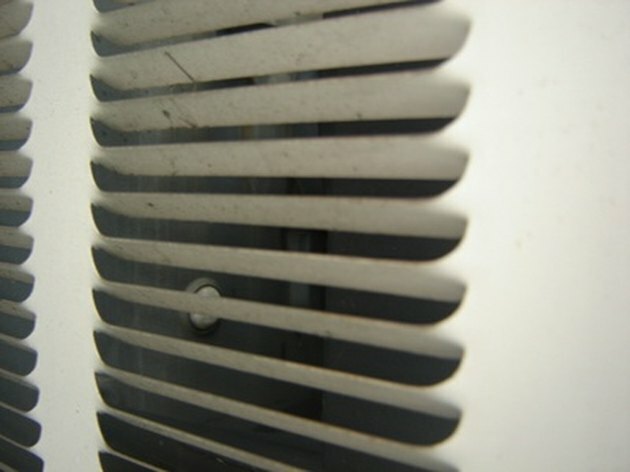 A standard air conditioner works by removing the heat from the inside air, and releasing it outside. A heat pump has the ability to reverse this process, eliminating the need for two separate units for heating and cooling. Troubleshooting a Lennox heat pump is a relatively simply process. Troubleshooting your Lennox heat pump yourself could save you money. Ensure the power and the circuit breakers are on. Also check to ensure that any emegency shut-off switches have not been flipped. Use the thermostat to turn the heat pump on. If it is warm outside, run it in cool mode; use heat mode if it is cold outside. Running the heat pump in heat mode when it is warm outside could cause damage to the system. Check the air coming from the air vents. There should be a steady flow of air and there should be a noticeable difference in temperature. Listen to the compressor in the outside unit. The compressor should be operating quietly. You should not be able to hear any grinding, popping or squealing coming from the compressor. Test the reversing valve in your system by using the test jumper terminals located on the valve. Read the manufacturer's instructions for the proper procedure to test the reversing valve for your specific model of Lennox heat pump.